Spreadsheet day takes place annually on October 17. The purpose of Spreadsheet day Is to commemorate the date that VisiCalc, the first spreadsheet program for personal computers, was released – October 17th, 1979. A spreadsheet is an interactive computer application for organization, analysis and storage of data in tabular form. Spreadsheets are developed as computerized simulations of paper accounting worksheets.The program operates on data entered in cells of a table. Each cell may contain either numeric or text data, or the results of formulas that automatically calculate and display a value based on the contents of other cells. A spreadsheet may also refer to one such electronic document. Spreadsheet users can adjust any stored value and observe the effects on calculated values. This makes the spreadsheet useful for “what-if” analysis since many cases can be rapidly investigated without manual recalculation. Modern spreadsheet software can have multiple interacting sheets, and can display data either as text and numerals, or in graphical form. A spreadsheet consists of a table of cells arranged into rows and columns and referred to by the X and Y locations. X locations, the columns, are normally represented by letters, “A”, “B”, “C”, etc., while rows are normally represented by numbers, 1, 2, 3, etc. A single cell can be referred to by addressing its row and column, “C10” for instance. This electronic concept of cell references was first introduced in LANPAR (Language for Programming Arrays at Random) (co-invented by Rene Pardo and Remy Landau) and a variant used in VisiCalc, and known as “A1 notation”. Additionally, spreadsheets have the concept of a range, a group of cells, normally contiguous. For instance, one can refer to the first ten cells in the first column with the range “A1:A10”. LANPAR innovated forward referencing/natural order calculation which didn’t re-appear until Lotus 123 and Microsoft’s MultiPlan Version 2. Besides performing basic arithmetic and mathematical functions, modern spreadsheets provide built-in functions for common financial and statistical operations. Such calculations as net present value or standard deviation can be applied to tabular data with a pre-programmed function in a formula. Spreadsheet programs also provide conditional expressions, functions to convert between text and numbers, and functions that operate on strings of text. Spreadsheets have replaced paper-based systems throughout the business world. Although they were first developed for accounting or bookkeeping tasks, they now are used extensively in any context where tabular lists are built, sorted, and shared. LANPAR, the first electronic spreadsheet on mainframe and time sharing computers was introduced in 1969. LANPAR was an acronym: LANguage for Programming Arrays at Random. VisiCalc was the first electronic spreadsheet on a microcomputer, and it helped turn the Apple II computer into a popular and widely used system. Lotus 1-2-3 was the leading spreadsheet when DOS was the dominant operating system. Excel now has the largest market share on the Windows and Macintosh platforms. A spreadsheet program is a standard feature of an office productivity suite; since the advent of web apps, office suites now also exist in web app form. Web based spreadsheets are a relatively new category. Since its beginnings, Spreadsheet Day has grown to become a day for celebrating both the advantages and the aggravations of working with spreadsheet software. The idea for spreadsheet day came about on February 2010, when the importance of spreadsheets in day to day business operations, and in fact living, became apparent to its creator. By the following October, celebrations were underway. National Fossil Day takes place annually on 17 October. It was established in the United States to promote the scientific and educational values of fossils. A fossil is any preserved remains, impression, or trace of any once-living thing from a past geological age. Examples include bones, shells, exoskeletons, stone imprints of animals or microbes, objects preserved in amber, hair, petrified wood, oil, coal, and DNA remnants. The totality of fossils is known as the fossil record. Paleontology is the study of fossils: their age, method of formation, and evolutionary significance. Specimens are usually considered to be fossils if they are over 10,000 years old. The oldest fossils are from around 3.48 billion years old to 4.1 billion years old. The observation in the 19th century that certain fossils were associated with certain rock strata led to the recognition of a geological timescale and the relative ages of different fossils. The development of radiometric dating techniques in the early 20th century allowed scientists to quantitatively measure the absolute ages of rocks and the fossils they host. There are many processes that lead to fossilization, including permineralization, casts and molds, authigenic mineralization, replacement and recrystallization, adpression, carbonization, and bioimmuration. Fossils vary in size from one micrometer bacteria to dinosaurs and trees, many meters long and weighing many tons. A fossil normally preserves only a portion of the deceased organism, usually that portion that was partially mineralized during life, such as the bones and teeth of vertebrates, or the chitinous or calcareous exoskeletons of invertebrates. Fossils may also consist of the marks left behind by the organism while it was alive, such as animal tracks or feces (coprolites). These types of fossil are called trace fossils or ichnofossils, as opposed to body fossils. Some fossils are biochemical and are called chemofossils or biosignatures. National Fossil Day was first held on October 13, 2010, during Earth Science Week. The National Park Service and over 270 partners, including museums, institutions, organizations and other groups, joined together to educate the public about the value of fossils. Hundreds of activities were hosted across the United States aimed at improving public understanding of the world’s fossil heritage. The second National Fossil Day was observed on October 12, 2011 with events at museums, parks, universities, and non-profit organizations. National Fossil Day 2012 was celebrated on October 17, 2012 with an opening event held on the National Mall in Washington, D.C.. Similar events have been held annually. Each year a new educational National Fossil Day logo is created and announced in mid-January on the event website, depicting a prehistoric organism. The original National Fossil Day logo in 2010 and featured a fossil titanothere, a prehistoric mammal. In 2011, a marine reptile, the mosasaur, was used. For 2012, the mammoth was used for the annual logo. For 2013, a Paleozoic invertebrate known as the eurypterid was featured. For 2014 a fossil of an aetosaur, a Triassic reptile, was used.For 2015, a large herbivore mammal known as a chalicothere was used. For 2016, the prehistoric saber-toothed cat Smilodon fatalis was used For 2017, a jawless fish known as a heterostracan was used. World Trauma Day is celebrated annually on October, 17th. The purpose of World Trauma day is to highlight the increasing rate of accidents and injuries causing death and disability across the world and the need to prevent them. World Trauma Day was created in New Delhi in 2011 , in collaboration withThe Trauma Society of South Africa (which has the highest road mortality rate in the world with 40 deaths per day) joining the year after. Its purpose was to set a day aside to consider the impact, prevention and treatment of traumatic injuries and deaths. Trauma refers to “any injury caused to the body”. The injury may be caused due to many reasons like road accidents, fires, burns, falls, acts of violence and crimes against the vulnerable population including women, children and elderly. trauma is any injury that has the potential to cause prolonged disability or death. There are many causes of major trauma, blunt and penetrating, including falls, motor vehicle collisions, stabbing wounds, and gunshot wounds. Depending on the severity of injury, quickness of management and transportation to an appropriate medical facility (called a trauma center) may be necessary to prevent loss of life or limb. The initial assessment is critical, and involves a physical evaluation and also may include the use of imaging tools to determine the types of injuries accurately and to formulate a course of treatment. Injuries may be caused by any combination of external forces that act physically against the body. The leading causes of traumatic death are blunt trauma, motor vehicle collisions, and falls, followed by penetrating trauma such as stab wounds or impaled objects. Subsets of blunt trauma are both the number one and two causes of traumatic death. injuries are classified as either intentional such as suicide, or unintentional, such as a motor vehicle collision. Intentional injury is a common cause of traumas. Penetrating trauma is caused when a foreign body such as a bullet or a knife enters the body tissue, creating an open wound. In the United States, most deaths caused by penetrating trauma occur in urban areas and 80% of these deaths are caused by firearms.. Blast injury is a complex cause of trauma because it commonly includes both blunt and penetrating trauma, and also may be accompanied by a burn injury. Trauma also may be associated with a particular activity, such as an occupational or sports injury. Amongst all the causes, Road Traffic Accident (RTA) is the leading cause of trauma across the world. Many injuries may lead to temporary or permanent disability while others may even cause death. Every year, about 5 million people die from injuries across the world. In India alone, it is estimated that one million people die and 20 million are hospitalized every year due to injuries. According to the National Crime Records Bureau (NCRB), about 1,37,000 people died in road accidents in India in 2013. The burden of disease due to trauma is increasing at an alarming rate. This not only increases the morbidity and mortality rate, but also affects the national productivity on account of younger population being mainly involved in road accidents. Therefore, we should all take the required precautions in order to prevent any injuries. Road designing plays an important role in preventing trauma. But the rate of injuries due to trauma cannot only be reduced by adequate road designing. It is the duty of every citizen of every country to act responsibly. Remember, prevention is always better than cure. Trauma is no accident. It can be easily prevented by staying alert. So, help yourself as well as others by acting responsibly. Legendary American motorcycle daredevil Evel Knievel was Born in Butte, Montana on October 17, 1938. He was raised by his grandparents. After watching a Joie Chitwood auto daredevil show as a child, he took to jumping using a pedal bike, later moving on to motorcycles. As a troubled youth, he earned his stagename after occupying a jail cell next to a man named Knofel, leading the jailer to refer to the pair as Awful Knofel and Evil Knievel (Knievel later changed the spelling of the first name to Evel). In addition to stunt riding at local shows, his early life including a spell in the United States Army at the behest of a magistrate, as well as jobs as a hunting guide and an insurance salesman, while also becoming an ice-hockey team owner. Knievel notably staged an exhibition match against the Czechoslovakian hockey team ahead of the 1960 Winter Olympics. After moving into sports full time, he had moderate success on the motocross circuit. Knievel moved into the entertainment business in 1966 by setting up his own touring daredevil show, initially using a variety of performers and later converting it to a solo show with his jumps as the center-piece. He came to national attention when he persuaded the owners of Caesars Palace in Las Vegas to let him jump their fountains on New Year’s Eve 1967. After a failed landing, which was caught on film, Knievel spent 29 days in a coma. After his recovery, he continued to make high profile and lucrative jumps, and began lobbying the government for permission to jump the Grand Canyon. Unable to obtain permission, he settled on a jump over the Snake River in Twin Falls, Idaho, which he attempted on September 8, 1974 in the X-2 Skycycle. The parachute deployed immediately after launch and the vehicle crashed just a few feet away from the river’s edge. Knievel suffered minor injuries and avoided drowning. Knievel then traveled to Britain, and on May 26, 1975, attempted to jump 13 buses in front of 90,000 people at Wembley Stadium, again crashing with severe injuries. His longest completed career jump came at Kings Island theme park in Ohio on October 25, 1975, jumping 14 buses, marking his peak television audience. In 1977, Knievel served six months in jail for assaulting promoter Shelly Saltman for writing an unflattering book. After this conviction, Knievel’s career suffered, causing him to declare bankruptcy following a $13 million award for damages to Saltman. After cancelling an attempt to jump a tank full of live sharks in Chicago after injuring a cameraman during a practice jump, Knievel eventually withdrew from doing major shows. He instead concentrated on touring with and training his son Robbie Knievel, also a daredevil, eventually making his last jump in March 1981. Knievel’s nationally televised motorcycle jumps were four of the twenty most-watched ABC’s Wide World of Sports events to date. He became a celebrity, recognizable for his use of a Stars-and-Stripes red, white and blue V-shaped set of motorcycle leathers and cape. On the back of this fame, Knievel gained endorsements from Harley-Davidson and a toy line by the Ideal Toy Company. A 1971 film Evel Knievel starred George Hamilton as Knievel, and he starred as himself in the 1977 film Viva Knievel!. Knievel later said of his career that he had “earned $60 million, and spent $62 million”. In total he attempted over 75 ramp-to-ramp motorcycle jumps between 1965 and 1980, and in 1974, a failed jump across Snake River Canyon in the Skycycle X-2, a steam-powered rocket. The 35 broken bones he suffered during his career also earned him an entry in the Guinness Book of Records. Knievel Sadly died of pulmonary disease on November 30th, 2007 in Clearwater, Florida, aged 69. According to the obituary in The Times Newspaper , Knievel was one of the greatest American icons of the 1970s and was inducted into the Motorcycle Hall of Fame in 1999 and his daredevil exploits continue to inspire stuntmen and daredevils worldwide much to the chagrin of Health and safety regulators. The International Day for the Eradication of Poverty is an international observance celebrated every year on October 17 throughout the world. The first commemoration of the event took place in Paris, France, in 1987 when 100,000 people gathered on the Human Rights and Liberties Plaza at the Trocadéro to honour victims of poverty, hunger, violence and fear at the unveiling of a commemorative stone by Father Joseph Wresinski, founder of the International Movement ATD Fourth World. In 1992, four years after Wresinski’s death, the United Nations officially designated October 17 as The International Day for the Eradication of Poverty. Poverty is the scarcity or the lack of a certain (variant) amount of material possessions or money. Poverty is a multifaceted concept, which may include social, economic, and political elements. 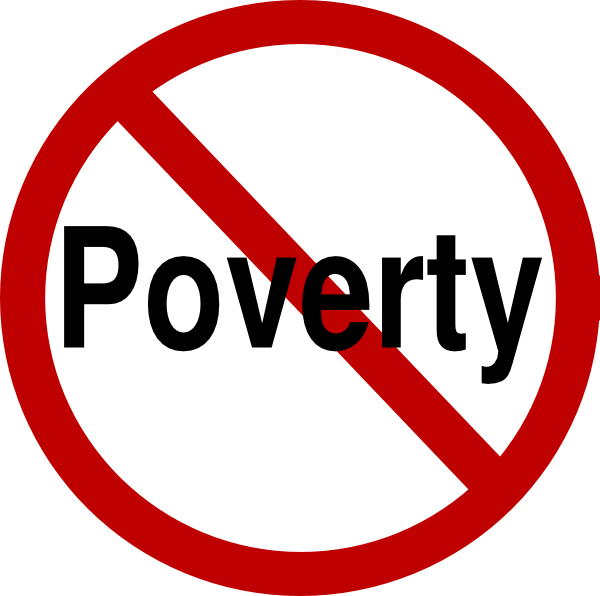 Absolute poverty, extreme poverty, or destitution refers to the complete lack of the means necessary to meet basic personal needs such as food, clothing and shelter. The threshold at which absolute poverty is defined is considered to be about the same, independent of the person’s permanent location or era. On the other hand, relative poverty occurs when a person who lives in a given country does not enjoy a certain minimum level of “living standards” as compared to the rest of the population of that country. Therefore, the threshold at which relative poverty is defined varies from country to another, or from one society to another. After the industrial revolution, mass production in factories made producing goods increasingly less expensive and more accessible. Of more importance is the modernization of agriculture, such as fertilizers, to provide enough yield to feed the population. Providing basic needs can be restricted by constraints on government’s ability to deliver services, such as corruption, tax avoidance, debt and loan conditionalities and by the brain drain of health care and educational professionals. Strategies of increasing income to make basic needs more affordable typically include welfare, economic freedoms and providing financial services. Poverty reduction is still a major issue (or a target) for many international organizations such as the United Nations and the World Bank. Extreme poverty, absolute poverty, destitution, or penury, was originally defined by the United Nations in 1995 as “a condition characterized by severe deprivation of basic human needs, including food, safe drinking water, sanitation facilities, health, shelter, education and information. It depends not only on income but also on access to services. In 2008, “extreme poverty” widely refers to earning below the international poverty line of $1.25/day (in 2005 prices), set by the World Bank. This measure is the equivalent to earning $1.00 a day in 1996 US prices, hence the widely used expression, living on “less than a dollar a day. The vast majority of those in extreme poverty – 96% – reside in South Asia, Sub-Saharan Africa, The West Indies, East Asia and the Pacific; nearly half live in India and China alone. The reduction of extreme poverty and hunger was the first Millennium Development Goal (MDG1), as set by 189 United Nations Member States in 2000. Specifically, MDG1 set a target of reducing the extreme poverty rate in half by 2015, a goal that was met 5 years ahead of schedule. This goal was created to end poverty in all its forms everywhere, and the international community, including the UN, the World Bank and the United States, has set a target of ending extreme poverty by 2030. Early in his career as an activist, Wresinski recognized that governments tended to ignore the plight of those living in poverty, leading to feelings of rejection, shame, and humiliation. As a result, one of the primary goals of the Day is to recognize the struggles of the impoverished and to make their voices heard by governments and ordinary citizens. Participation by the poorest of people is an important aspect of the observance of the Day. Haitian rapper, musician and actor Wyclef Jean was born on October 17, 1969 in Croix-des-Bouquets, Haiti. Jean emigrated to the United States with his family where, after living in Brooklyn, New York, they settled in East Orange and Newark, New Jersey. He began to make music as a child and has cited reggae artist Bigga Haitian as one of his early influences, as well as neighborhood heroes MC Tiger Paw Raw and producer Lobster v. Crab. His mother recognized his musical talent and bought him a guitar when he was in his teens; he played music to earn respect. Jean graduated from Vailsburg High School, Newark, New Jersey, briefly attended Eastern Nazarene College and finished one semester at Five Towns College in New York Jean has been a resident of Saddle River, South Orange, and North Caldwell, New Jersey. In 2009, Jean enrolled in the Berklee College of Music. Jean and other musicians formed a group in the 1980s under the name Tranzlator Crew. After they signed with Ruffhouse Records and Columbia Records in 1993, they renamed their group as Fugees – an abbreviation of “refugees”, and also a reference to Haitian immigrantion. The group’s debut album, Blunted on Reality, was released in 1994. It achieved limited commercial success, peaking at number 62 on the US Top R&B/Hip-Hop Albums chart. The album peaked at number 122 on the UK Albums Chart in 1997, and it was certified gold by the Syndicat National de l’Édition Phonographique. Blunted on Reality spawned three singles: “Boof Baf”, “Nappy Heads” and “Vocab.” “Nappy Heads” was the Fugees’ first single to be ranked on the US Billboard Hot 100, charting at number 49. In 1996, the Fugees released their second album, titled The Score. The album achieved significant commercial success in the United States, topping the US Billboard 200. It was later certified as six-times platinum by the Recording Industry Association of America (RIAA). It performed well in several overseas nations, topping the Austrian, Canadian, French, German and Swiss albums charts, while also peaking at number two in Sweden and the United Kingdom. Four commercially successful singles were released from The Score; “Fu-Gee-La”, the first single from the album, peaked at number 29 on the Billboard Hot 100 and was certified gold by the RIAA and by the Bundesverband Musikindustrie (BVMI). The other three singles – “Killing Me Softly”, “Ready or Not” and “No Woman, No Cry” – did not appear on the Billboard Hot 100 as they were not released for commercial sale, making them ineligible to appear on the chart,although they all received sufficient airplay to appear on the Hot 100 Airplay and Hot R&B/Hip-Hop Airplay charts. “Killing Me Softly”, a cover of the Roberta Flack song “Killing Me Softly with His Song”, performed strongly in other territories, topping the singles charts in Australia, Austria, Germany and the United Kingdom, among several others. “Ready or Not” peaked at number one in the UK and at number three in Sweden. “No Woman, No Cry” – a cover of the Bob Marley & The Wailers song of the same name – topped the singles chart in New Zealand. Fugees collaborated with singer Bounty Killer on the single “Hip-Hopera” and recorded the single “Rumble in the Jungle” for the soundtrack to the film When We Were Kings in 1997: although they have not released any studio albums since The Score, a compilation album, Greatest Hits, was released in 2003, and spawned the single “Take It Easy”. He also sang on the album Mozaik Kreyòl on the song “Secret Lover”. Then he covered Creedence Clearwater Revival’s song “Fortunate Son” for the soundtrack of the 2004 film remake of The Manchurian Candidate and wrote the song “Million Voices” for the film Hotel Rwanda. Jean also produced and wrote songs for the soundtrack to Jonathan Demme’s 2003 documentary The Agronomist, about the Haitian activist and radio personality Jean Dominique. With Jerry ‘Wonder’ Duplessis, Jean also composed the score of the documentary Ghosts of Cité Soleil, He helped produce the film and he appears briefly onscreen speaking by telephone in 2004 to a “chimere” gang-leader and aspiring rapper, Winston “2Pac” Jean. In 2006, Jean was featured in Shakira’s smash hit Hips Don’t Lie. Wyclef wrote an autobiography entitled Purpose: An Immigrant’s Story with the help of journalist Anthony Bozza, published in September 2012. In 2016, Wyclef released his first song in two years, which gave hints to a new album release. On June 17, he released a new song called Hendrix and later released a short film featuring Michael K. Williams. To promote his EP, he did a concert at Terminal 5. On October 14, 2016 Wyclef released an election song called “If I Was President 2016” that would be featured on his J’ouvert EP. On November 1, 2016 he released a song that he had collaborated on with Young Thug. The song was called “I Swear,” which is also featured on his EP. Wyclef also collaborated on Young Thug’s Jeffery Mixtape, and was featured on Thug’s song “Kanye West. Young Thug also had a song named “Wyclef Jean” that was named after him because he was such a big influence. In January of 2017, Wyclef announced that his J’ouvert EP would be released on February 3, 2017. On February 2, 2017, Wyclef released his new single “Ne Me Quitte Pas”, which was featured on his J’ouvert Deluxe EP. The EP was released and charted at 117 on the Billboard 200,and 50 on the Canadian Hot Album. Four more singles were released from the album, “Life Matters”, “The Ring,” “Holding onto the Edge” and “Little Things” On June 9, Wyclef announced on his Instagram that Carnival III: The Fall and Rise of a Refugee would become available to pre-order on June 22, 2017. You can now pre-order his 12 track album on itunes. In 2001, Jean established “Yéle Haiti” a charitable organization known legally as the Wyclef Jean Foundation and incorporated in Illinois. Following 2004’s Hurricane Jeanne, it provided scholarships to 3,600 children in Gonaïves, Haiti. It continued to provide scholarships, school funding, meals and other charitable benefits to citizens of Haiti in the following years. After the 2010 Haiti earthquake, the foundation became prominent in raising funds for disaster relief. According to Jean, Yéle raised over $1 million in 24 hours over Twitter Jean took part in an MTV donation drive and other publicized fundraising, such as the “Hope for Haiti Now” telethon, which he organized with actor and producer George Clooney. The Yéle charity donated funds to orphanages, street cleaning crews, hospitals and medical clinics and organized food service to provide hot meals to refugees and victims of the catastrophe. However By February 2010, questions were reported about the history and management of the Yéle charity. The New York Times reported that it had failed to file tax returns for several years. The former executive director, Sanjay Rawal, questioned the charity’s ability to handle large projects and criticized its lack of financial controls. Finnish racing driver Kimi-Matias Räikkönen was born 17 October 1979 in Espoo).Räikkönen entered Formula One as a regular driver for Sauber-Petronas in 2001. Having previously only raced in very junior open-wheel categories, he was given his Super Licence from the Fédération Internationale de l’Automobile (FIA) after a performance delivery promise by his team boss, Peter Sauber He joined McLaren Mercedes in 2002, and became a title contender by finishing runner-up in the 2003 and 2005 championships to Michael Schumacher and Fernando Alonso, respectively. Räikkönen’s 2003 and 2005 seasons were plagued by severe unreliability from his McLaren cars.After switching to Ferrari in 2007, he became the highest paid driver in motor sport with an estimated wage of $51 million per year. In turn his move to Ferrari saw him secure his first Formula One World Drivers’ Championship, beating McLaren drivers Lewis Hamilton and Fernando Alonso by one point, as well as becoming one of the very few drivers to win in their first season at Ferrari. In 2008, he equalled the record for fastest laps in a season for the second time. After one more year in the sport, he left the Ferrari F1 team to drive a Citroën C4 WRC for the Citroën Junior Team in the World Rally Championship for 2010. Along with rallying, Räikkönen has turned his attention towards NASCAR, and made his debut for Kyle Busch Motorsports in the Camping World Truck Series. In 2008, Räikkönen was among the two Formula One drivers who made it into the Forbes magazine’s The Celebrity 100 list, the other being Fernando Alonso. He is 36th on Forbes magazine’s The Celebrity 100 list of 2008, and 41st on the previous year. On the same list, as of 2008, he is listed as the 26th highest paid celebrity overall and the 5th highest paid sportsman behind Tiger Woods, David Beckham, Michael Jordan and Phil Mickelson. In 2009, Räikkönen was listed as the equal 2nd highest paid athlete in the world, behind Woods. In 2009 Räikkönen left Ferrari and was replaced by Fernando Alonso. He was expected to return to McLaren alongside Lewis Hamilton but negotiations with the team failed. Räikkönen was linked to Mercedes GP but the team eventually signed Michael Schumacher and Nico Rosberg. Toyota F1, before it pulled out of Formula One, offered Räikkönen a driving contract to replace Timo Glock in 2010. Räikkönen did not drive in Formula One in the 2010 season. In 2009 Räikkönen made his rally debut at the Arctic Lapland Rally, driving a Tommi Mäkinen Racing-prepared Abarth Grande Punto S2000. He finished in 13th place. Räikkönen made his WRC debut in the 2009 Rally Finland,He was running third in group N and 15th overall before crashing out in Väärinmaja, last stage of Saturday. During 2010 Räikkönen became afull-time driver for the Citroën Junior Team, driving a Red Bull-sponsored Citroën C4 WRC with his co-driver, Kaj Lindström. Räikkönen scored his first WRC points when he finished eighth in the Jordan Rally. Consequently, he became the second driver after Carlos Reutemann to score championship points in both Formula One and the World Rally Championship. In the next WRC event, the Rally of Turkey, Räikkönen improved his best result with a fifth-place finish. In the 2010 Rally Finland, the retired four-time World Rally Champion Juha Kankkunen entered the race and said that if Räikkönen cannot beat him then he might as well go back to Formula One. Kankkunen finished eighth and Räikkönen 25th due to car trouble. He finished seventh in the Rallye Deutschland, his second ever asphalt rally, while notching up his first ever career stage win, the last stage of the rally. Räikkönen achieved his first rally win in the Rallye Vosgien 2010 in France. He won all six stages in the asphalt rally. Räikkönen did not start in the Rally Catalunya after crashing. Räikkönen entered the 2011 World Rally Championship season under his own team, ICE 1 Racing driving a Citroën DS3 WRC He finished eighth in the Rally Sweden. Skipping the Mexico event, he next competed in Rally Portugal and finished seventh. in 2011 Räikkönen signed a deal with Toyota team Kyle Busch Motorsports to run a limited schedule in the Camping World Truck Series Series. Räikkönen also took part in the North Carolina Education Lottery 200 at Charlotte Motor Speedway with a strong finish of 15th, though he started the day with tough practice sessions and qualified only at 31 out of 37 trucks. Räikkönen went on to race in the Nationwide Series at the same track on 28 May driving for Joe Nemechek and NEMCO Motorsports. He finished 27th after having debris stuck on the grille of his car and getting a penalty for speeding in the pitlane, Räikkönen tested Robby Gordon’s car at Infineon Raceway, with plans of Gordon fielding a two-car team for him and Räikkönen at the Toyota/Save Mart 350. However, Räikkönen crashed the car in the test, and the deal with Robby Gordon Motorsports fell through. in 2012, Räikkönen returned to Formula One with a two-year contract with Lotus. Räikkönen began the season by qualifying 17th for the Australian Grand Prix However he recovered and moved up to twelfth, before making it into the top ten. 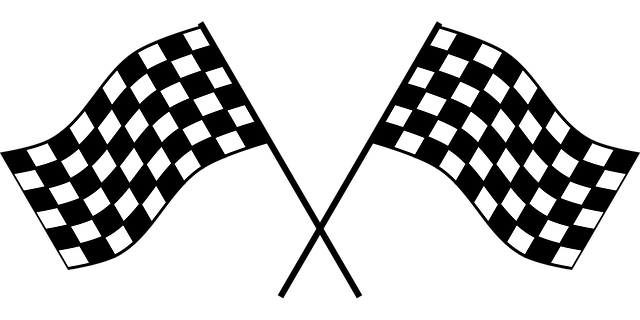 He took three places on the last lap of the race, to finish in seventh place. Räikkönen qualified for the Malaysian Grand Prix in 5th place. He started the race from 10th place because of an unscheduled gearbox change and also eventually finished the race in 5th. At the Chinese Grand Prix he was 14th after running 2nd after incorrect tyre choice resulted in him being overtaken by 10 cars in the space of one lap. At the Bahrain Grand Prix he finished second starting from 11th position on the grid. It was his first podium Räikkönen finished third at the Spanish Grand Prix, after having qualified in fifth place, which had been promoted to fourth as a result of a penalty given to Lewis Hamilton. In Monaco Räikkönen qualified in 8th but finished one place lower in 9th place. For the 2012 Canadian Grand Prix Räikkönen qualified 12th but finished 8th. In the European Grand Prix at the Valencia Street Circuit he finished second behind Fernando Alonso. In the 2012 British Grand Prix he finished fifth, after having qualified in sixth place. Räikkönen reached 4th in the 2012 German Grand Prix, eventually gaining the last podium spot after Sebastian Vettel was penalised for an illegal overtaking manoeuvre. Räikkönen qualified 5th for the Hungarian Grand Prix Eventually finishing the race in 2nd place, just one second behind the race winner Lewis Hamilton. Räikkönen qualifyed fourth for the Belgian Grand Prix and went on to finish 3rd behind Jenson Button and Sebastian Vettel. Räikkönen qualified 7th for the Italian Grand Prix at Monza, eventually finishing in 5th. At the Singapore Grand Prix, Räikkönen qualified 12th. and eventually finished 6th. At the Japanese Grand Prix, Räikkönen qualified 8th after spinning at his final attempt in Q3 and finished 6th after being passed by McLaren’s Lewis Hamilton after the second round of pit stops. Räikkönen eventually qualified 5th for The Korean Grand Prix and finished the race in 5th after an impressive battle with McLaren’s Lewis Hamilton which ended in Räikkönen’s favour. Räikkönen was 48 points behind the championship leader Sebastian Vettel after 16 rounds of the 2012 season, however He won the Brazillian after McLaren’s Lewis Hamilton suffered gearbox problems. At the Indian Grand Prix, Räikkönen qualified in 7th place Eventually finishing 7th. Räikkönen Extended his contract with Lotus was extended for 2013. In 2012, Räikkönen won his first race for the Lotus F1 team at the Abu Dhabi Grand Prix after a good start from fourth saw him take Pastor Maldonado and Mark Webber at the first corner. He was unable to match the pace of Hamilton, but a mechanical issue retired the McLaren and allowed Räikkönen to win the race, despite pressure from the Ferrari of Fernando Alonso. Lotus celebrated its first win since the 1987 Detroit Grand Prix which was won by Ayrton Senna. Still third, Räikkönen was 16 points clear of Lewis Hamilton in the championship. But after Hamilton’s pole position at the concluding race of 2012, Räikkönen would have to finish at least fifth in the race if Hamilton were to win. He qualified ninth howeverOn lap 52, Räikkönen, made a mistake and went off the track and tried to use an escape road to re-enter the track rather than drive over the grass. The road was blocked and he was forced to turn back. He lost numerous places and found himself behind a Caterham and a Marussia. He skidded again to be lapped, but re-claimed the lost places and with a retirement from Hamilton, finished the race in 10th and claimed his 3rd place in the standings, with a 1-point contribution to the tally. He ended the season 71 points behind Fernando Alonso and 74 points behind champion Sebastian Vettel. Räikkönen was named the driver of the year in a poll in a French auto racing website, http://www.toileF1.com In second place was Fernando Alonso. In 2013 Räikkönen won the Australian Grand Prix despite starting from seventh He also set the fastest lap of the race on lap 56. Räikkönen qualified seventh in Malaysia, but was demoted three places for impeding Nico Rosberg during qualifying. Eventually finishing the race seventh, behind team-mate Grosjean. Räikkönen qualified and finished second At the Chinese Grand Prix. In the Bahrain Grand Prix he qualified ninth, but was promoted to eighth after Lewis Hamilton received a five-place grid penalty for an unscheduled gearbox change. He finished the race second ahead of his team-mate Romain Grosjean, with Sebastian Vettel winning the race. At the Spanish Grand Prix, Räikkönen started fourth and finished second thanks to a three-stop strategy. At the next race in Monaco, Räikkönen started fifth eventually finishing in tenth place. In the process, it continued his streak of 23 consecutive points finishes, one shy of the record of 24 set by Michael Schumacher across three seasons between 2001 and 2003. Räikkönen finished ninth at the Canadian Grand Prix. Räikkönen finished 5th At the 2013 British Grand Prix, finishing in the points for the 25th consecutive race, breaking Schumacher’s record and putting him in third place in the championship. At the German Grand Prix, Räikkönen qualified fourth and finished second, only a second behind Vettel. Räikkönen gualified sixth for the Hungarian Grand Prix but finished second – for the fifth time at the circuit. The result promoted him to second in the Drivers’ Championship, one point ahead of Fernando Alonso and 38 points behind championship leader, Vettel. At the Belgian Grand Prix, Räikkönen finished fastest in Q2 but did not finish the race, this ended his chances of beating the most consecutive race finishes – a record held by Nick Heidfeld at 41 finishes – Räikkönen recorded 38. He failed to score again at the Italian Grand Prix after losing his front wing at the start and was unable to pass Jenson Button for a point scoring position. Räikkönen left Lotus for the 2014 season, and instead join Fernando Alonso at Ferrari. it was revealed that Räikkönen had not been paid by Lotus for the whole season, meaning there were several million euros of outstanding fees. Räikkönen publicly cited this as the reason for leaving Lotus for Ferrari. Räikkönen qualified 13th, for the Singapore Grand Prix eventually finishing third place. At the Japanese Grand Prix, he qualified 9th and finished 5th. Then at the Indian Grand Prix, Räikkönen qualified 6th eventually finishing in 7th place. Räikkönen refused to enter the Abu Dhabi Grand Prix unless he was paid. Räikkönen qualified 5th, but was demoted to the 22nd and last grid spot. Then Räikkönen retired on the first lap after crashing into Giedo van der Garde’s Caterham and Räikkönen missed the rest of the season. In 2014 Räikkönen signed a 2-year deal With Ferrari. After a mostly disappointing first half of the season he finished fourth place at the Belgian Grand Prix. However Räikkönen ended the 2014 season a career-low 12th in the Drivers’ Championship. Räikkönen remained with Ferrari for the 2015 season, partnering former world champion Sebastian Vettel after Alonso announced his departure from the Scuderia. Räikkönen had to retire from the first race of the season in Australia due to a loose wheel following a pitstop. He recovered to finish fourth both in Malaysia and China. However Another pit issue befell Räikkönen during practice for the Bahrain Grand Prix. Despite this Räikkönen eventually finished second at the Bahrain Grand Prix and recorded his first podium since the 2013 Korean Grand Prix for Lotus, and the first in his second spell with Ferrari. Räikkönen qualified in 7th place for the, Barcelona Grand Prix Moving to 5th position before being controversially overtaken by Ricciardo, and finishing the race in 6th. Räikkönen qualified in 3rd place for the Montreal Grand Prix, unfortunately spun at the hairpin while on the out-lap from a pitstop, and lost his 3rd place to Valtteri Bottas.In the Austrian Grand Prix he was involved in a big crash with Fernando Alonso which left Alonso’s McLaren on top of Räikkönen’s Ferrari. At the 2013 Hungarian Grand Prix, Räikkönen ran second behind Vettel looking set for a 1–2 until a technical failure meant he lost straightline speed. He then lost further positions after the restart so following a pitstop he retired. Räikkönen started from 17th on the grid at the Belgian Grand Prix However, he managed to overtake the middle pack and finished the race in 7th, after teammate Sebastian Vettel had a tire blowout on the 42nd lap causing him to lose a 3rd place finish. Räikkönen qualified on the front row for Ferrari’s home race the Italian Grand Prix at Monza, but dropped to last due to mechanical problems eventually battling from the back of the field to finish fifth. At the Singapore Grand Prix, Räikkönen qualified in 3rd, behind Sebastian Vettel and Daniel Ricciardo. Räikkönen maintained the position through the race despite being uncomfortable with the car, to take his second podium finish of the season. Räikkönen ended the season by finishing third in the season-ending Abu Dhabi Grand Prix to take his third podium of the year and was fourth in the Drivers’ Championship. Sadly Räikkönen had to retire from the first race of the 2016 season in Australia Grand Prix however Räikkönen did finish in second place at the Bahrain Grand Prix. Räikkönen outpaced teammate Sebastian Vettel in qualifying at the Chinese Grand Prix to take 3rd on the grid, unfortunately he collided with Vettel but despite this he eventually finished fifth. He Finished the Russian Grand Prix in third place after a huge start collision, which left his teammate Vettel out of the race. This was also the 700th podium in Ferrari’s Formula One history. At the Spanish Grand Prix Räikkönen finished behind Max Verstappen in second place to take his third podium of the season in the finishing ahead of his teammate Vettel who was third. During the 2017 motor racing season Räikkönen had his first pole position in 129 races at Monaco, qualifying just 0.04 seconds faster than his teammate Sebastian Vettel. For the Hungarian Grand Prix at the Hungaroring, Räikkönen qualified second, Eventually finishing second, with Vettel finishing first, giving Ferrari a 1-2 finish. Räikkönen renewed his contract with Ferrari for the 2018 season.